According to police officials, after the cordon was tightened, the militants started firing at the security forces triggering the ongoing gunfight. 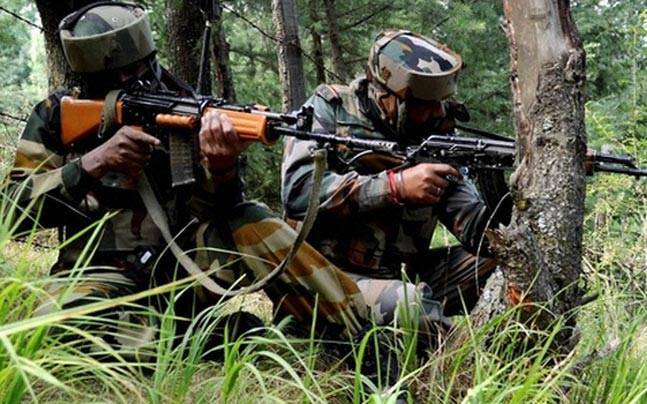 Two Indian soldiers were injured after a gunfight broke out between the terrorists and the security forces in Jammu and Kashmir's Pulwama district on Monday. After receiving a tip-off about holed-up militants in Drabgam village, the security forces including personnel from the Rashtriya Rifles (RR), Central Reserve Police Force (CRPF) and the Special Operations Group (SOG) of the state police cordoned off the area. Reports coming in from the area said clashes between a stone pelting mob and the security forces have also started in the area. Mobile internet services have been suspended across Pulwama district.